When selecting a lock for your home or business, you want to ensure that you have the right lock for the job. Not all locks are similar. Different lock brands have unique features designed for specific situations. It is not as about going for the first or cheapest lock you see. Think about what you want to do with a lock and where it will be located before you even begin to shop. We are the lock expert who can help you select the best lock that will fit your needs. This top lock guide will highlight various major lock brands and their main features. Schlage makes both keyed and keyless entry locks offering top security solutions for home and office. For a durable, tamper-proof lock, Schlage Everest Primus is the industry leader to turn to. Schlage products provide optimal security with master/keyway systems and also with its keyless entry systems. Kwikset locks offer an innovative technology called SmartKey which allows you to re-key your lock by yourself, saving you money and time. Kwikset is perfect for rental properties and businesses where there’s need to change locks regularly. In addition to being bump proof and pick resistant locks, Kwikset SmartKey padlocks also provide the ability to rekey the lock. If you seek commercial grade durability and strength, then Corbin-Russwin lock is for you. Attractive, sturdy and quite easy to install, these locks are great for institutional uses such as classrooms, healthcare facilities, and hotels. For strong security reasons, universities, public schools, libraries use Arrow locks. It is durable and secure in highly trafficked places. Arrow Lock’s diverse line includes key systems, locking hardware, and door control, which implies that you can trust the durable, affordable, family of Arrow locks when you’re looking for a lock that will meet your security needs. 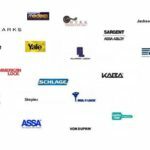 Sargent offers a broad range of high-security lock options which includes fobs, keyed entry, keypad locking systems, and keyless entry. Sargent lock systems come with complementary hardware and are generally used in hospitals, behavioral health facilities, and schools. If you need a great, durable, and secure lock system for your home or business, Sargent is a good place to start. Kaba Ilco is the go-to brand for vacation property owners, hospitality agents, and property managers. With its comprehensive electronic key card system and mobile access solution, Kaba-Ilco lock systems are perfect for vacation rentals, housing complexes, and apartment buildings. They also have a variety of access control devices for commercial facilities such as turnstiles, pushbutton locks, barrier solutions and installed access control for secure areas. Baldwin locks are popularly recognized for their outstanding security and attractive design styles. With a variety of options ranging from traditional to contemporary hardware options, Baldwin locks work well with almost any home décor. With a large line of home security solutions such as knobs, levers, deadbolts, keyless entry, and pocket door locks in high-quality designs, they mix nicely into the surrounding furnishings. When it comes to functionality, Falcon leads the pack in providing automatic door operation features as well as touch bar exit features and other effective hardware solutions for doors. Falcon locks can be found in many commercials, government, educational, and healthcare facilities. Falcon products are distinguished for their high security and are found at the Pentagon, White House, federal office buildings, and even state and federal prisons, and other secure government buildings. The Medeco brand is certified by the Certified Environmental Facts (CEF) multi-attribute certification which makes this brand environmental friendly. Medeco also offers e Cylinder, which is a wireless locking format that provides accountability, system management, physical security, and controlled access. Adams-rites primary focus remains the industrial settings. Electrified strike and latch, which is their most popular product, is fully loaded and suited for commercial and industrial facilities. Adams-rites line of e Latch products ensures ease of control and strong security. They also provide electric door lock features. To know more about our recommended lock systems or to speak to our experts to help you select the best lock to meet your needs when you need your locks change, contact us. 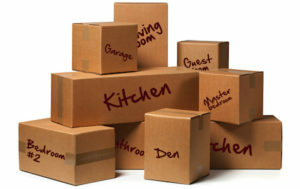 We’ll ensure that you find the best brand to keep your home or business safe and secure. Contact us at (678) 942-6714. Changing locks whether at home or business is usually an inconvenience but often the best safety measure to take. A qualified locksmith is a critical component in your home and office security. There are many reasons when a home or business locks change is the best option. 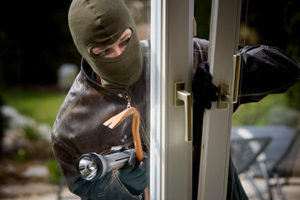 Break-In Attempt – One of the most important reasons for a locks change is if you have experienced a break-in. Even if the crooks were unsuccessful, they most likely used force in an attempt to break in. This forceful attempt to break the lock does a lot of damage to the lock, or at very least, makes it easier for the prowler to come back and try again. This time, the crook may be successful at making the lock more susceptible to failing in its duty to keep you safe and secure.Call Locksmith Atlanta for professional locks changes service after break-in. Lost Keys – Besides a recent break in, one of the main reasons someone needs locks change is because they lose their keys. If you don’t know where your keys are, you don’t know if someone else perhaps has them which would give them access to your home or business. For security sake, it’s best to get a fresh start by changing the locks and getting new keys. If you lost your keys don’t hesitate call Locksmith Atlanta for professional locks change & locks rekey. Locks Wear Out – When locks begin to show wear or rust, they become less reliable and could fail to work altogether. 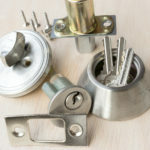 In addition to the wear and tear on the locks, older style of locks are simply easier for a criminal to pick or break. If you notice your locks tarnishing or rusting or they become difficult to open, it’s time for you to have the locks rekey. Call us for a free estimate for any locks repair and locks change 24/7. New Home – After you are handed the keys to your new home is a very good time to immediately have your locks change, since you most likely don’t know the previous owner who may have extra copies of the keys hanging around or extra copies he or she may have trusted to a friend or neighbor are able to be used. Let’s hope the previous home owner had a good sense of judgment, but just to be on the safe side, change the locks. Sleep sound in your first night at your new home knowing your locks are secure. Bye, Bye Roommate or Co-Worker- If you shared the home, apartment or business with a roommate or co-worker, it’s a good idea to have your locks change when they move out or move on or in the case of a divorce or separation. This is especially true if the departure was on less than friendly terms. Extra Keys Floating Around – If you have given out spare keys to service personnel, repairmen, maids, neighbors, or anyone you once trusted and they lose them or do not return them for some other reason, it’s very important to change the locks. Whether or not any catastrophic event has occurred, it’s advisable for everyone who owns a home or business with valuables inside to change the locks every few years. Not only do locks wear out over time but the technology behind them improves making them harder to crack them open. A locks change is an easy process for a professional locksmith and doesn’t take much time to complete.